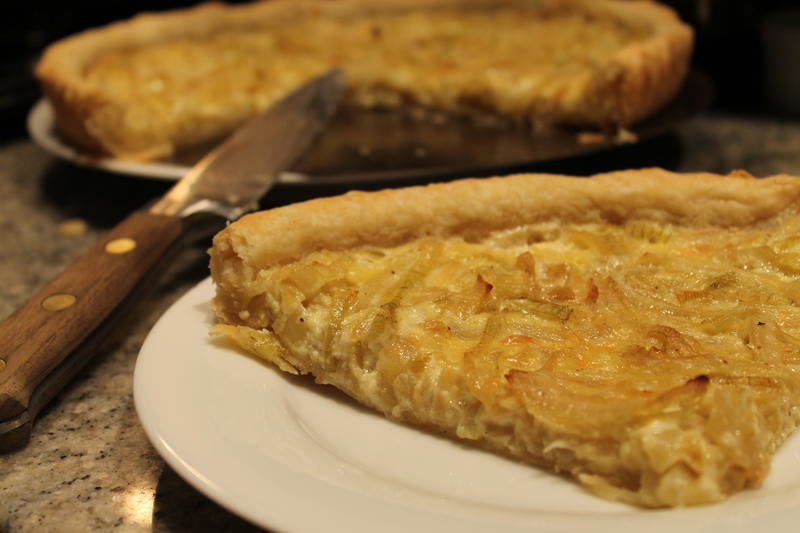 SO instead of creating some a horrible ogre-shaped, onion-flavored heap, what better way to showcase the delightfully complex flavors of onions than a classic Alsatian onion tart. And what better recipe to use than one crafted by a true Alsatian — so here is my take on legendary André Soltner’s recipe, originally published in the New York Times. This tart is quite simple and comes together very quickly once the shell is ready to go. Put 1 1/4 cups of flour and 1/2 tsp salt in the bowl of a food processor. Pulse until it is thoroughly mixed. Add in one stick of very cold butter, cut into small pieces. Try to pulse only 8-10 times — the butter chunks should be the size of small peas in the flour. Slowly pour 1/4 cup of cold water through the feed tube while pulsing the dough, add more water if necessary 1 tbsp at a time until you can squeeze the dough together without it crumbling apart. Shape it into a disk, wrap in plastic wrap and stick it in the fridge to chill for at least an hour. 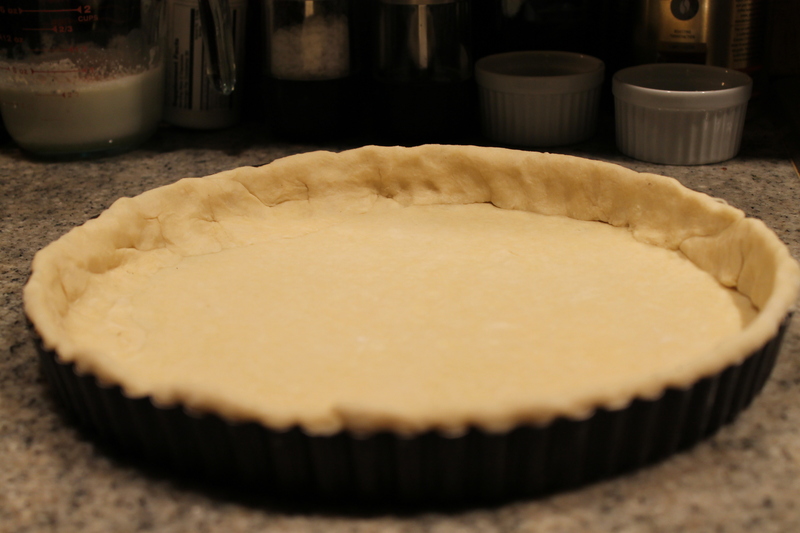 After it has chilled, take the pate brisee out of the fridge, roll it out, and press it into a 9″ tart pan. Cover with plastic wrap and pop it back into the fridge. Peel and thinly slice 1-1 1/2 lbs of yellow onions — this is about 2 large or 4 small onions. Heat up 2 tbsp of olive oil in a large sauce pan, add the onions and saute until they are tender and just starting to caramelize. Remove them from the heat. 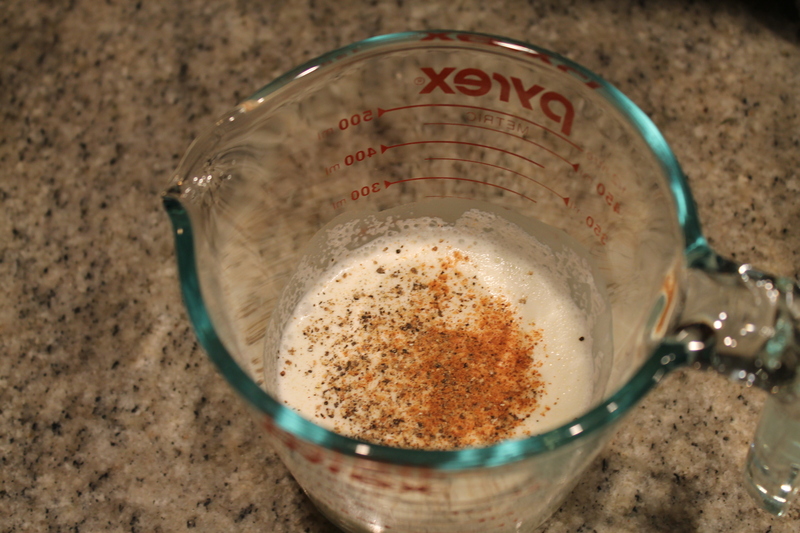 In a small bowl (or measuring cup) combine 1/2 cup of cream, 1 large egg, two pinches of salt, and a pinch each of pepper and ground nutmeg. 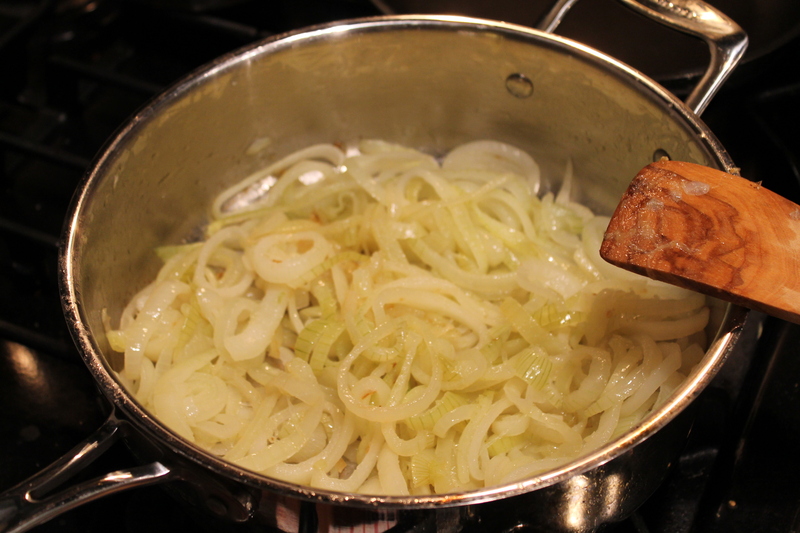 Whisk together and pour over top of the cooled onions. Pour the filling into the chilled tart shell, and bake for 25-30 minutes until the onions and crust are just starting to brown. For so few ingredients, this tart is incredibly flavorful — each bite is a perfect combination of sweet and tender onion, creamy custard, and flaky pastry. Such a treat! 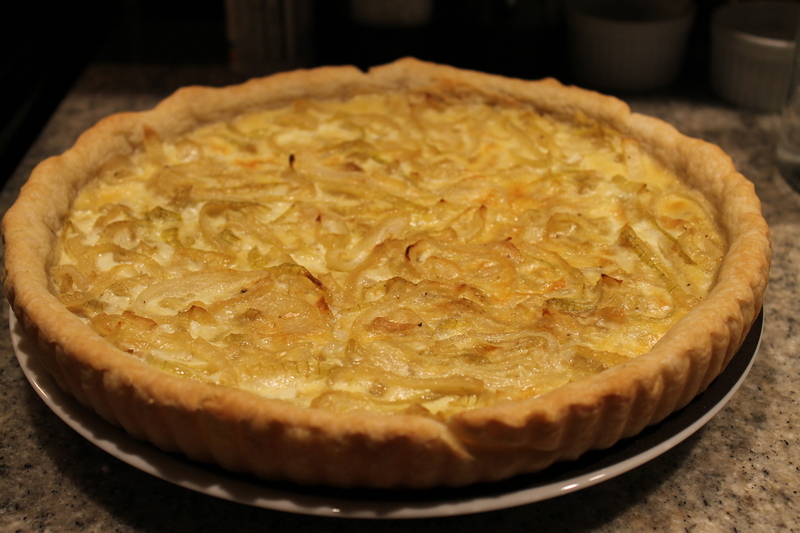 This entry was posted in Eggs, French, Nutmeg, Onions and tagged alsace, cream, dinner, egg, french, onion tart, quiche. Bookmark the permalink.